Dom Pérignon Rosé 2002 doesn't get much better. So pair it with a flashy label and you have the ultimate gift. In this Limited Edition, the Dom Pérignon shield actually illuminates, drawing power from a small battery pack that sits in the punt of the bottle. A uniquely fun idea, impressive at parties and especially at night. Dom Pérignon Rosé is only available as a vintage champagne and is only produced in exceptional years. 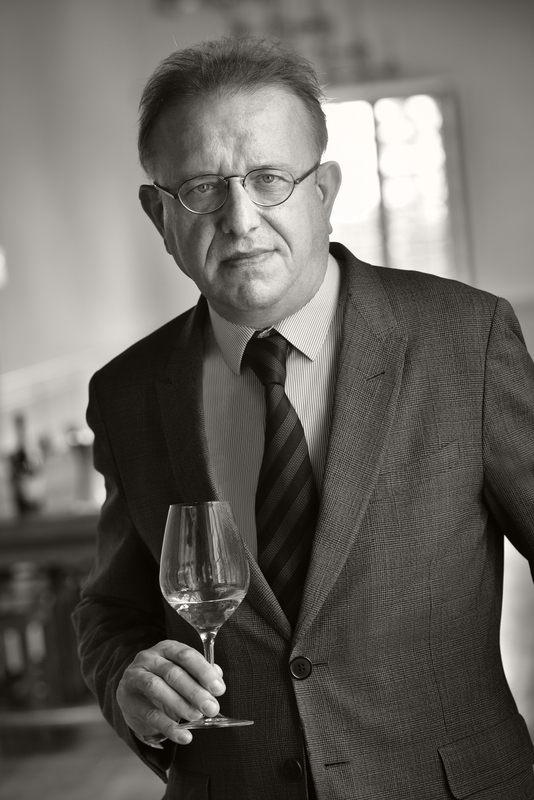 Each vintage is a creation, singular and unique, that expresses both the character of the year, and is a tribute to Pinot Noir. To work with Pinot Noir continually requires excellence and humility and Dom Pérignon Rosé is the perfect balance of Chardonnay and Pinot Noir. Although it takes over ten years to reach the light of day, the colour of Dom Pérignon Rosé dares to express all the tension between youth and maturity, between exhibition and restraint. 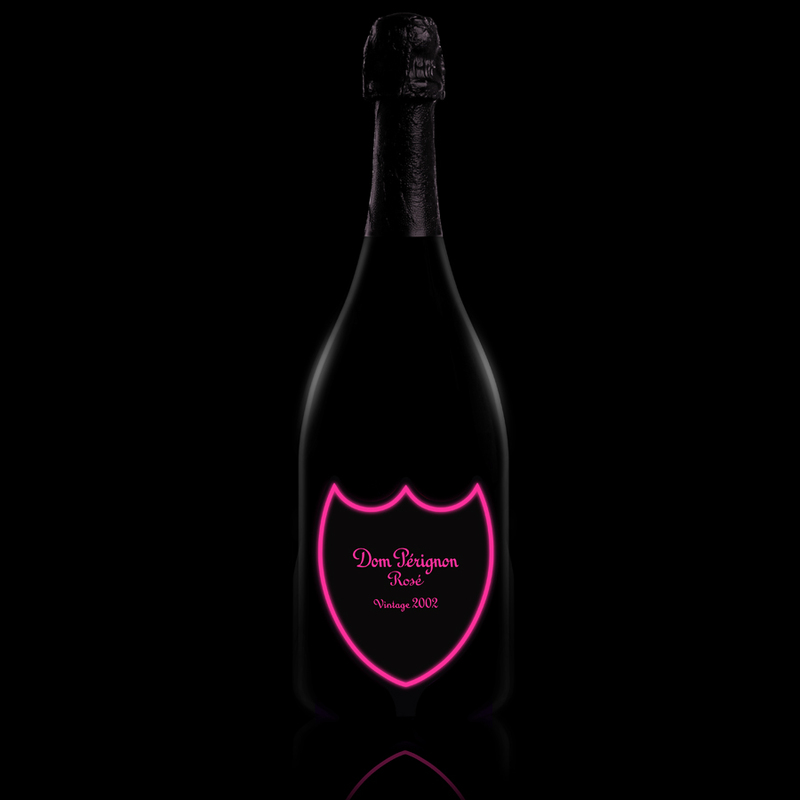 Dom Pérignon Rosé 2002 sharpens the paradoxes with this vibrant interpretation: luminous and dark, ripe and rich, all at once. Beautifully persistent in the mouth, it deploys an airy yet powerful magnetism. Weather: The 2002 vintage shaped up ideally over the spring, with no significant frost and near-perfect flowering. Then followed a summer marked by long, sunny periods interspersed with regular cloudy and rainy spells. The vines were in good health and the dehydration of the grape berries helped them reach new heights of ripeness. Tasting Note: The colour is strikingly pale with a vibrant pink tint. The wine's bouquet offers pomegranate, ripe strawberries and a wisp of pipesmoke. On the palate the wine is remarkably tactile, with a creamy texture inviting flavours of cherry kernel and roast pecan nuts. A rosé vintage has perhaps never gone so far and attained such great heights whilst harnessing a great potential for ageing: it will become even more stellar over time. 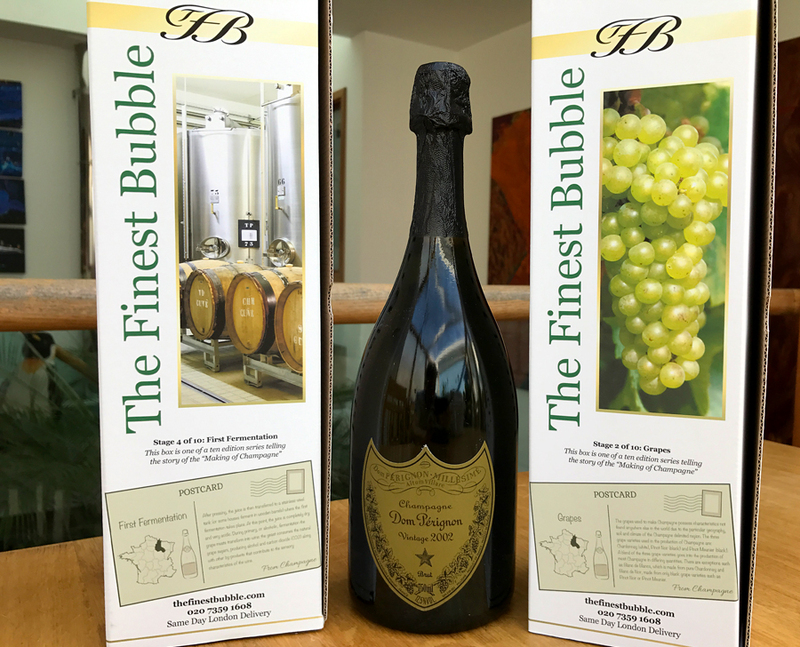 Dom Pérignon Rosé Luminous Label 2002 does not come in an individual branded gift box and will be delivered in our own TFB gift box.